The TFT controls are made for use in permanent courses (POCs), school orienteering and trg events. They are powered by two AA batteries, which lasts for one season, but can be replaced at any time. The signal range is approximately 30 cm standing still. 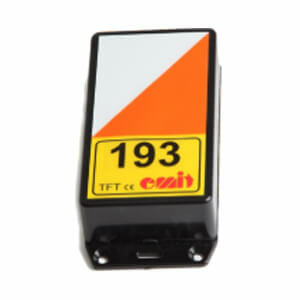 TFT controls are made with codes from 100 to 199, plus START and FINISH. Compatible with just emiTags.